Frances Cabrini was a Catholic nun who left her home in Italy for New York City in the 1800s. She became the first American saint. Cabrini founded the Missionary Sisters of the Sacred Heart of Jesus. She dedicated her life to housing and educating orphans, and other charitable acts. 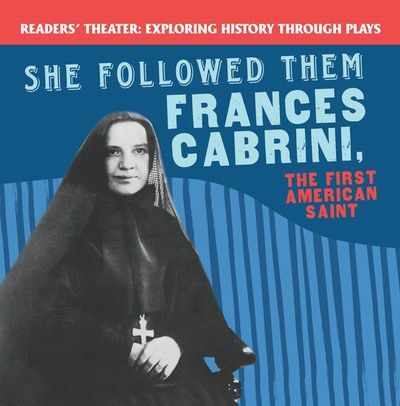 Readers of this innovative play will see Cabrini's life unfold on stage. They'll learn about the challenges Italian immigrants faced in their new country. Historical photographs illustrate Cabrini's life. Stage directions, costume and prop notes, and character descriptions help readers easily perform the play themselves.